Any move can be a daunting task. Whether you’re moving into or out of Castle Hill, whether it’s a short-term or an interstate voyage, it can not only be stressful, it can demand a lot of effort, time, and money. 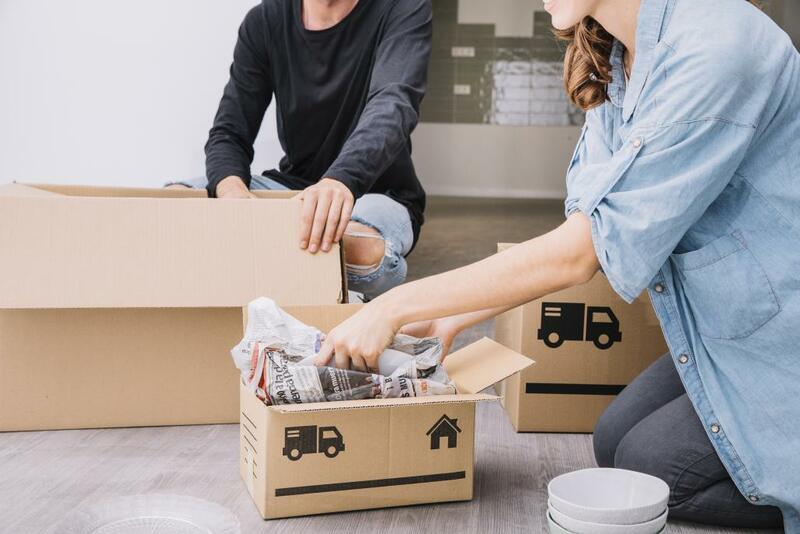 There are many different factors to consider, and most people don’t have the experience of managing a move to deal with them all, both mentally and practically. Our team of removalists in Castle Hill can take some of that stress off your shoulders. While we can’t make the move any less emotionally demanding, we can ensure that it at least doesn’t demand all of your time and effort. With state-of-the-art technology, precise planning and an approach to customer service that guarantees satisfaction, we’re here to help you make the move, whoever you are and wherever you need to go. Home removals Services: Whether a local move or an interstate journey, we offer bespoke removalist services from home to home, suited down to your schedule, the size of your move, and whatever needs you have for us. Office removal Services: Commercial clients come with needs of their own, but we’re equipped to handle those, too. Ensure your most valuable equipment, technology, and furniture get the security and safety they need. Packing and unpacking Services: If you don’t want the added stress of making sure everything is packed up, we can do it for you. This service ensures that your items are left precisely where you want them, ready for you to simply enjoy your new home. Backloading removal Services: Our most cost-effective service of all. If you want to move on a budget or you have few items to transport, this is for you. Using the free space available on pre-scheduled deliveries, we can help you save on the costs of moving while still providing the security and care we’re known for. Furniture removal Services: As part of the packing and unpacking service, we also offer a furniture removalist service in Castle Hill. This includes bringing the tools to disassemble, reassemble, and move your furniture as securely as possible. This comes with no added cost, you only pay for the time we take helping you. If you’re not certain which services you need, get in touch with us. We’re glad to hear you out and recommend a removal suited to your exact needs. Keep to your schedule: Being able to make sure that you can stick to your moving schedule should be the number one demand for any professional removals company. When we set an arrival time to beginning working on packing and moving your goods, we make sure that we stick to it. Similarly, we pick the most time-efficient routes ahead of time, accounting not only for route distance but also factors such as traffic. As such, we make sure that we guarantee on-time deliveries. Know that your needs are being met: As complicated and stressful as moving can be, it can also offer a lot of uncertainty. Many families and business owners aren’t certain about how well they can handle the task until the day arrives itself. With us, there are no such worries. We offer the certainty and peace of mind that’s often missing from the moving process, letting you know the entire plan from the first step to the last. Someone you can hold accountable: Taking responsibility for your own move also means that you have to handle the accountability for your items yourself. If something is damaged or lost on the way, then you have no recourse to try and recoup the losses. While the aim of our team, and the most likely event, is that all of your goods can safely make the journey from beginning to end, unfortunate accidents and unforeseen events can happen. Not only do we make the journey as secure and as safe as possible, but we have the liability insurance to make sure that, even if something does go wrong, you don’t end up paying for it. We’ll reimburse any losses to the maximum extent possible. The ability to safely move all kinds of objects: Not only is the potential damage to your goods something you should be concerned about, you should also be thinking about your own safety while managing that move. As such, a lot of people are likely to injure themselves when trying to move furniture, not to mention heavier objects such as safes. Not only can you strain yourself more than you might expect, accidentally dropping items or catching your fingers between them and doorways or corners can lead to some nasty injuries. Our team is fully trained to ensure that all heavy lifting is done in the safest way possible. This includes accounting for when we need to make use of trolleys that can move those objects we simply can’t lift by hand. These are only a few of the benefits that you can expect from our team of experienced, professional removalists in Castle Hill. We lend a certainty and a preparedness to the moving process that many of our clients simply wouldn’t be able to ensure on their own. With the amount of experience under the belt of our team, we know that our clients’ needs and demands can vary from job to job. Some may only need our removal services, others might need our packing or storage services, too. Business clients might have different needs from residential clients. We’ve worked with clients of all types, moving to and from properties in a wide range of locations. This includes really big moves to really small moves. Whether you’re moving from a huge estate or a one-bedroom apartment, we have the services fit for you. We assess your situation, choose your vehicles, and create a schedule determined by your needs. For instance, we offer budget-friendly backload removals, allowing those with only a small amount of goods to share the journey and the costs of a single vehicle with other clients. For over ten years, our team has been helping both commercial and residential clients make their move a lot more hassle-free. During that time, we’ve earned a reputation for quality service, reliable delivery, and customer care that has seen clients return time and time again. Simply take a look at our testimonials to see what our customers have to say with us. Combining the use of modern logistics technology and specialised equipment with the expertise and insight of an experienced team, we are the most trusted and reliable removals for Castle Hill clients. We know that moving can be stressful and demanding, but our team of reliable removalists can handle the pressure for you, making your move much more cost-effective, time-efficient, and less demanding in total. Get in touch with us to learn more about our services or schedule your own removal and we’ll let you know exactly how we can help. All of our team members have a minimum of 3 years of experience in the industry, ensuring that you’re getting helped by those who know precisely what they’re doing. No hidden or extra costs. We don’t charge you for time spent on the road, fuel burned, packing, furniture disassembly, or even cancellations. All our costs are up-front and transparent. We have a clear cost policy that ensures apply charges in 15-minute blocks only, after the first two hours. We have a huge range of different vehicles available, so we bring exactly the size and kind of transportation that you need for your specific move. We won’t bring larger vehicles than you need and try to charge you for them. Our vehicles are fully prepared to secure and safeguard your item, including carpeted floors to make sure that they’re not scuffed and scratched by hard surfaces. This also includes thick, specially made blankets for transportation to make sure your goods don’t collide and damage each other during the journey. Our support team is here seven days a week to make sure that any concerns and questions are addressed. We’ll keep in touch before, during, and after the move, as well, to make sure that the schedule is understood on both ends and that your peace of mind is guaranteed through prompt, clear communication. It’s part of our mission statement to ensure that we provide the most cost-effective removals in Castle Hill to all of our clients. However, we do what is possible to ensure that low prices don’t mean a lower quality of service. As such, we provide a host of options that can be used to cut your costs, while ensuring our pricing policy is clear and easy to navigate, with no hidden costs. For the lowest costs, we offer backloading transport services for those who have a smaller move to manage. This means that we can fit your goods into the free space already available on trucks that are making the journey that you need us to make. By sharing space with other clients, you can split the costs of the journey between you. We also offer a variety of value-added services to make sure that our clients always get the best deals. This includes no costs for moving goods up the to the first floor of a building, as well as free furniture disassembly and reassembly services for any clients taking advantage of our packing and unpacking services. With all this added value and no hidden costs, we ensure the most cost-advantageous services. None of these extra services are going to mean that we compromise on the quality of the service that you expect, however. We’re able to offer these prices precisely because we’ve been in business for so long that we know how to make our services as efficient and effective as possible. You can rest assured that you’re going to be fully taken care of with us. We offer some of the fast local and interstate moves in Castle Hill and throughout Australia. When we choose a route, we account for not just the most direct path from A to B, but also factors such as traffic. As such, we can make sure that all our moves fit within the deadlines you set, without issue. Our team is professional yet friendly, knowing how to show the respect you deserve while providing the services you need. We also have a support team that’s on-hand seven days a week to address any of the questions that might be on your mind. We offer some of the most affordable removal services in the business. This is not only because we don’t have any hidden costs, but also because we have been in business long enough to know how to provide the most efficient and cost-effective removal services in the business. As such, we have options to fit every budget, including backload removals for those who are looking for a cheap, high-quality move. Our team is reliable to a fault. We’re with you from the beginning of the planning phase right up until your new property is decorated, with all of your goods unpacked and your furniture and goods reassembled. We guarantee the safest possible trip for your goods, while our liability insurance is there to make sure that, if anything does wrong, you won’t be the one who has to pay for it. We know that most of our clients are not experts when it comes to removals. That’s why we’re here to offer professional, experienced advice every step of the way, even before you book our services. That means you can contact us at any time and we’ll be here to address any needs and make sure you make the right choices. Our team brings a wide range of modern equipment and trucks to make sure that you’re well-equipped for the move. This means vehicles suited to your needs, packaging materials, tools for disassembly, trolleys for moving heavier items and more. When you set a schedule with us, we make sure that we follow that schedule as best as we possibly can. Our team is highly punctual, taking deadlines very seriously. Unless something entirely unforeseen happens, we will keep all deliveries within the decided time limit by any means necessary. We want to make sure that our services help you stick to your schedule, not that they get in the way of it. Our services are also highly flexible to meet a wide range of needs. We know that moving is complex and those needs can change from person to person, so we’re able and willing to make changes to the plan depending on what your requirements evolve to become. We know that our customers rely on us for honest, direct advice. We have gained our wide list of returning clients, as well as the reputation we have provided not by being money-oriented, but by being customer-oriented instead. If there are any issues we need to address, we won’t hide them. We will always offer the honest answer to any of your questions. We’ve only managed the success we’ve enjoyed due to the customers who have helped us grow this far. This means that we are dedicated to customer satisfaction at all steps. This means providing helpful advice, offering support, providing the most reliable services possible and, above all else, ensuring that you are fully satisfied. Most importantly, it’s our mission to help make moving a lot less of a stressful affair for all of our clients. With the expertise you need, as well as the dedication to reliable services, we can remove a lot of the uncertainty of any move. Spend less of your time, effort, and energy on the move and focus on getting you, your family, or your business ready for the home that’s waiting for you on the side. We know our way not just around Castle Hill, but also Australia. We have extensive, detailed maps that we consult on a regular basis to ensure we know the best routes. As such, you can guarantee your goods will never be lost on transit or delayed because of everyday traffic. What matters to us above all else is your satisfaction. As such, if you have any feedback on our services, ideas of how we can better help you, or simply queries that you need to address, get in touch with us at any time. Our team here 24 hours a day, 7 hours a week, 365 days a year to help make sure that your move goes as smoothly as possible. That means that someone is always here to answer your questions or address any changes you might need to make to your plan. It also means we don’t charge extra on holidays or weekends. Our customer service team is here 24/7 and dedicated to our clients. That means they’re here to get in touch with no matter what time you have a concern on your mind. All of your queries and requests will be taken seriously and you will be treated with the respect that you deserve. As such, we’re here to handle all the processes involved with every step of the move, no matter when it needs to be handled. The schedule that matters to us most is yours, so we will do what we can to help you stick to it. We’re not just a transportation company, we’re a complete one-stop removals service that can ensure that all your needs are addressed. From logistics to packing, planning to storage, we’re here every step of the way to make sure your move goes how you need it to. The information above should hopefully be enough to convince you that any move in or out of Castle Hill is best done with the help of our professional team. Big or small, local or interstate, we’re here to make sure the task is a lot less stressful and a lot more convenient for you. From the beginning of the planning phase to helping you unpack, we’re your one-stop solution for it all. Get in touch with our team of removalists in Castle Hill, tell us about your needs, and we’ll be sure to provide precisely the services you need. Whether you want to schedule a move or simply to answer your questions and concerns, our team is here seven days a week to help you get closer to the removal services you deserve.